Besides the Old and New Testament readings we hear each Sunday, what does the Bible have to do with the Mass? Everything. In fact, one could argue that without the Bible there would be no Mass, and without the Mass there would be no Bible. The Bible was made for the Liturgy and the Liturgy is where the Bible was meant to be proclaimed, expounded, interpreted and “heard.” That’s why, from the Sign of the Cross and the priest’s greeting: “The Lord be with you,” the Mass is one long biblical prayer - a tapestry woven from a fabric of biblical passages, phrases, and allusions. This is no accident. In the Mass, the story of salvation told in the Bible continues - is made real and present - in our lives. We’ll study how the great events of salvation history are re-read and re-lived in the “today” of the Church’s Liturgy of the Word. Using the Book of Revelation, we’ll see how, in the Liturgy of the Eucharist, we are lifted up to a real participation with the angels and saints in the heavenly liturgy. Finally, we ‘ll look at how in the Mass we renew our covenant with God - the new covenant made in the blood of Jesus which makes us children of God and heirs of the divine promises found in the Bible. To understand the biblical roots of the Mass. 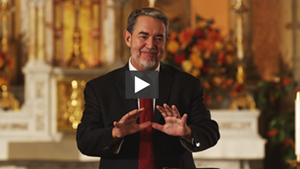 To understand the meaning and purpose of the Bible and the Mass in God’s plan of salvation. To see the Mass and the Bible with new eyes, and be able to enter into the Mass more fully, enthusiastically, and powerfully than before. The primary text will be the Bible. Each lesson will recommend certain passages for reading and study. 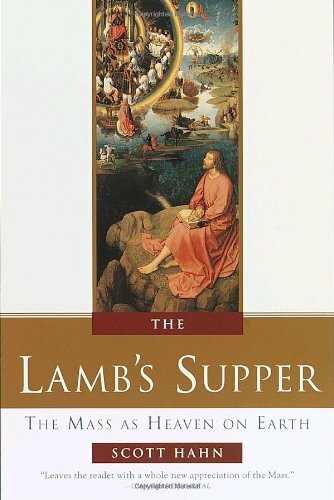 In addition, the instructors recommend The Lamb’s Supper: Mass as Heaven on Earth, which covers much of the material to be studied in this course. 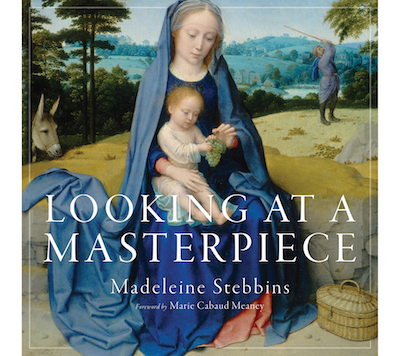 To understand basic Catholic beliefs about the relationship between the Bible and the Liturgy. To understand the biblical basis for the Mass. To understand how in the Mass, the written text of the Bible becomes Living Word. To understand the biblical background to the Penitential Rite and the Gloria in the Mass. To understand how God is worshipped in the Old Testament. To understand the biblical notion of sacrifice as it is presented in the Old Testament. To understand the death of Jesus Christ on the cross as a sacrifice. To see the parallels between the Old Testament sacrifices and the sacrifice of Christ on the cross. To understand how that sacrifice is re-presented to us in the Mass. To understand Scripture as the living Word of God. 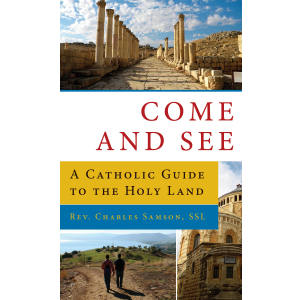 To understand the place of Scripture at the center of the liturgy. 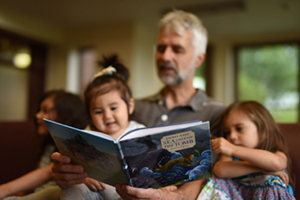 To see Scripture as an encounter with Christ, the living Word of God. 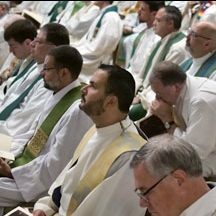 To see how the Liturgy of the Word prepares us for the Liturgy of the Eucharist. 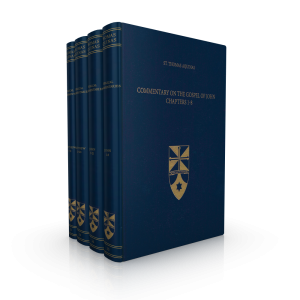 To understand the deep biblical foundations for the Liturgy of the Eucharist. 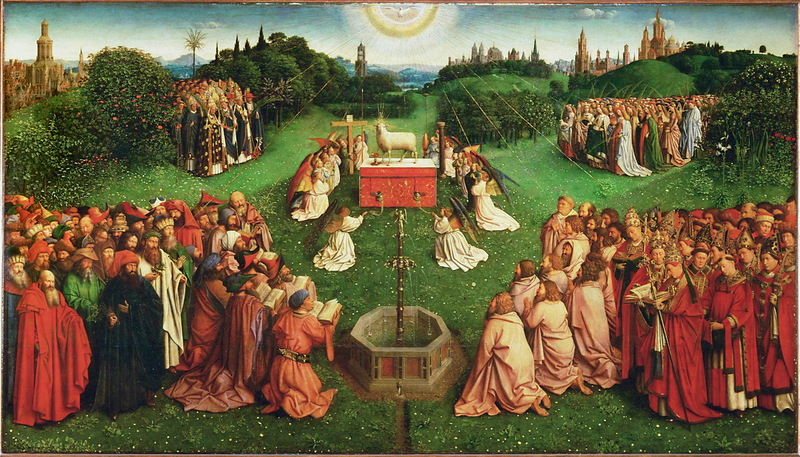 To see how the Book of Revelation describes the liturgy of heaven. To understand how the Mass we celebrate on earth is a participation in the liturgy of heaven. 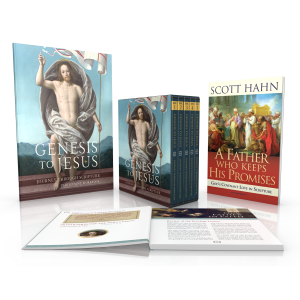 To see how Scripture portrays Jesus as the Passover Lamb and how that portrayal is reflected in the Mass. To understand the Eucharist as parousia, the “coming” of Christ, and as the “daily bread” we pray for in the Our Father.